Get on target lightning fast and up your game with the new Accelerator™ red dot reflex sight. The low-profile, wide field of view, and superior optics make it the perfect sight for handguns, shotguns, and rifles. With the Accelerator, you’ll be faster and more accurate no matter what you’re shooting. 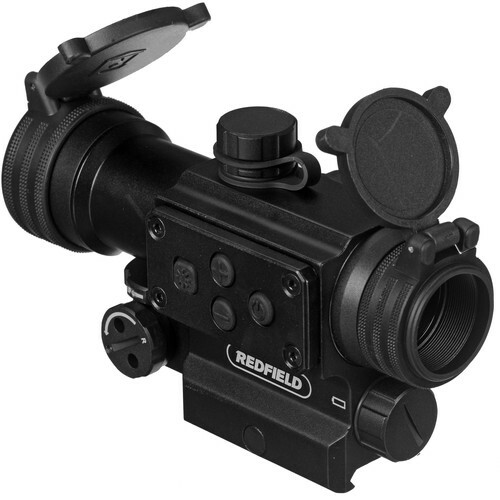 The Counterstrike 4 MOA Red/Green Dot Sight from Redfield combines an unmagnified dot sight and laser aiming device, making a versatile tool for close-range targets. A fully multicoated lens system and nitrogen-filled weather sealed housing equip the Counterstrike sight to perform in a variety of situations; including low-light conditions and harsh weather condition like driving rain and freezing temperatures. 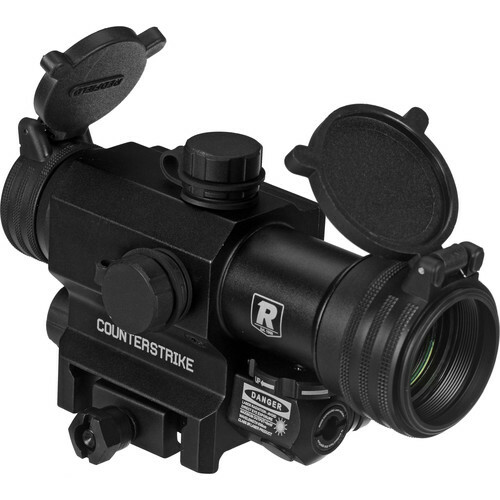 Additionally, the Counterstrike sight features 1/2 MOA impact point adjustments and an 11-level reticle brightness adjustment, allowing the shooter to optimize this targeting tool to meet their task.